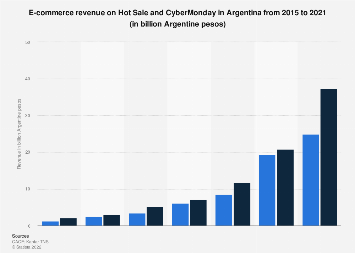 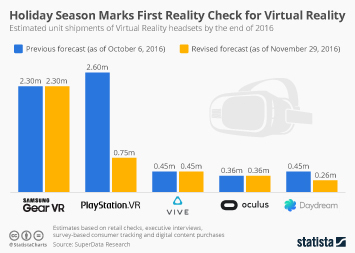 As online retailers in the United States prepare for Cyber Monday, i.e. 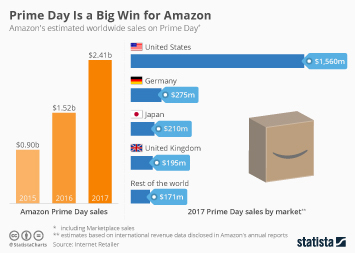 the biggest online shopping day of the year, China’s largest e-commerce company just recorded the biggest day in its history. 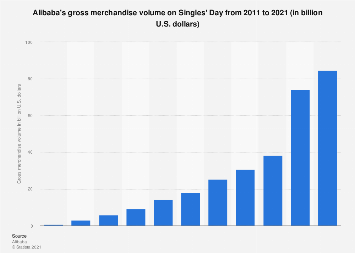 On November 11, Chinese Singles’ Day, online shoppers bought merchandise worth more than $25 billion across Alibaba’s platforms (mainly Tmall and Taobao), shattering last year’s sales record in the process. 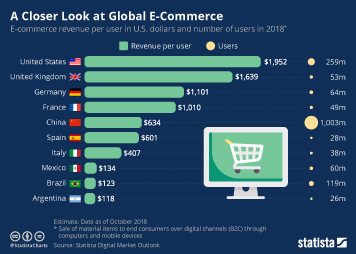 Alibaba processed 812 million orders within 24 hours and its payment service Alipay handled 1.5 billion transactions during the day, peaking at an incredible 256,000 transactions per second. 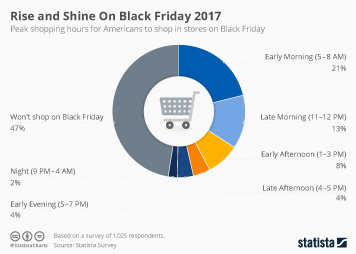 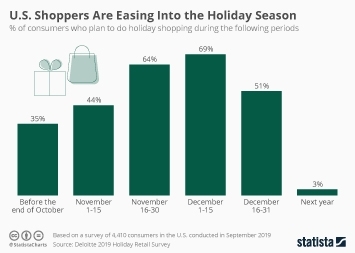 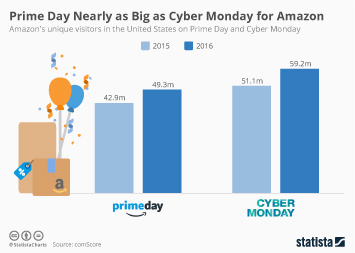 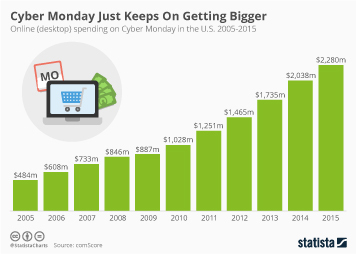 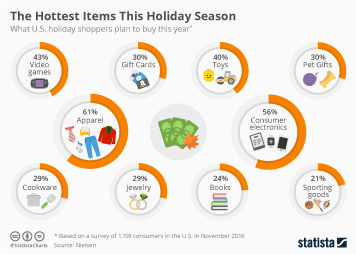 Compared to these numbers, Cyber Monday and Black Friday look like celebrations of frugality. 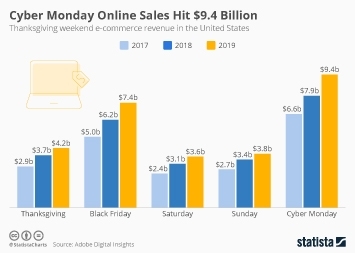 In 2016, total Cyber Monday e-commerce sales in the United States amounted to $3.06 billion with Thanksgiving and Black Friday adding another $3.79 billion to a weekend total of $6.85 billion. 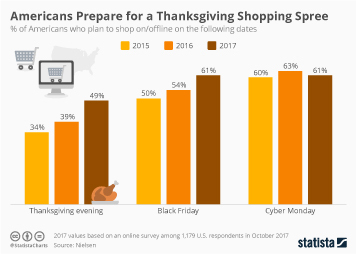 This year’s Thanksgiving weekend will likely bring about another record in U.S. e-commerce history, but it won’t come close to matching China’s largest shopping extravaganza. 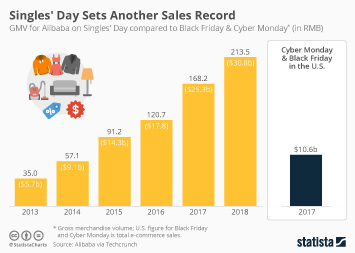 This chart shows how Alibaba's gross merchandise volume on Singles' Day compares to U.S. e-commerce sales on Thanksgiving weekend.